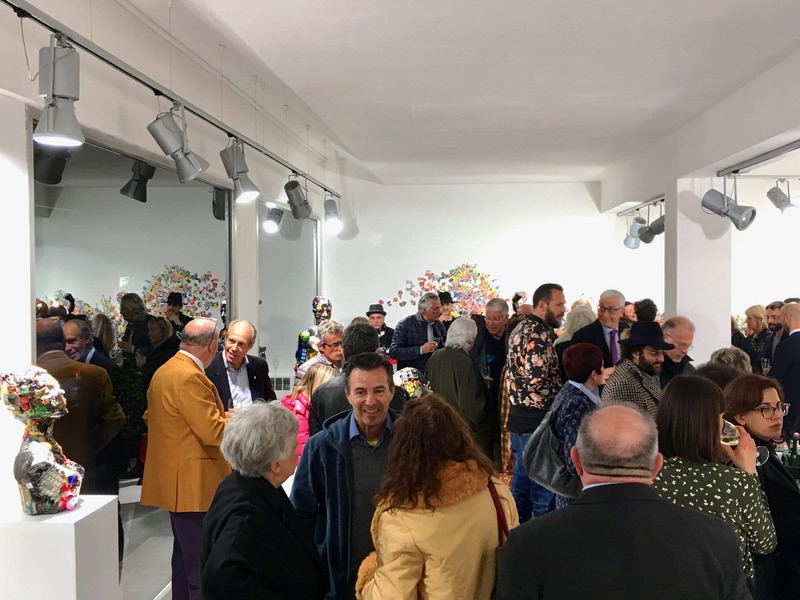 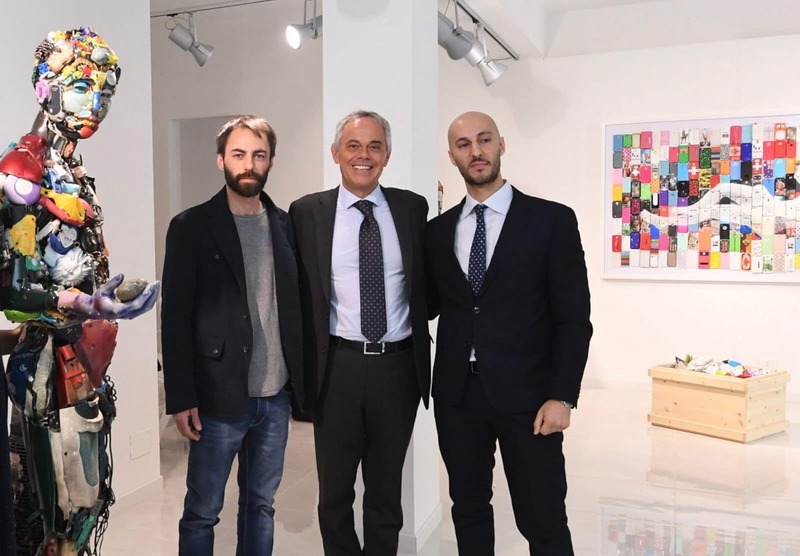 Opening: April 11th, 2019 – 7:30 p.m.
Simon Bart Gallery opens its new branch in Bologna. 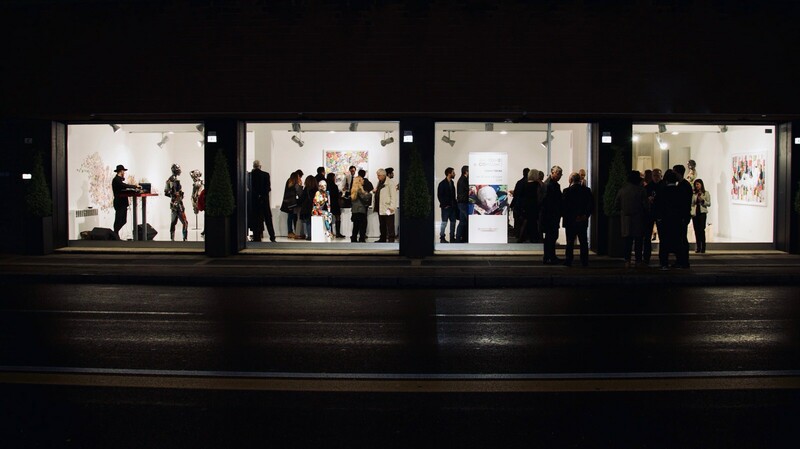 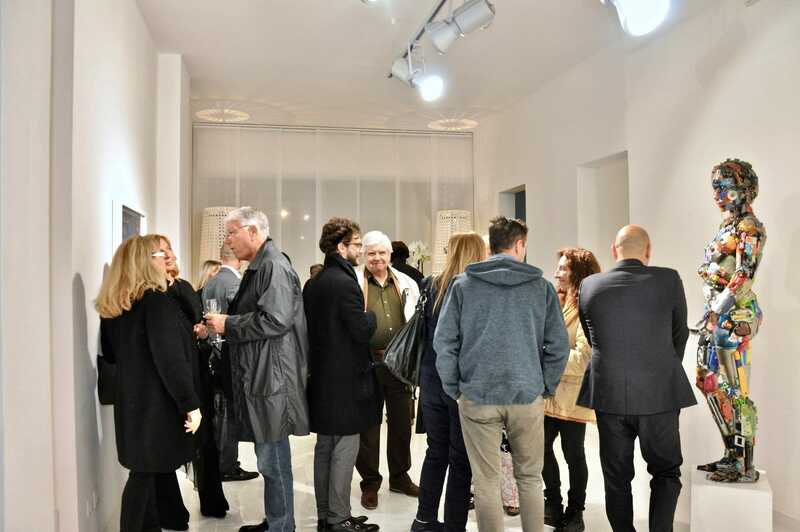 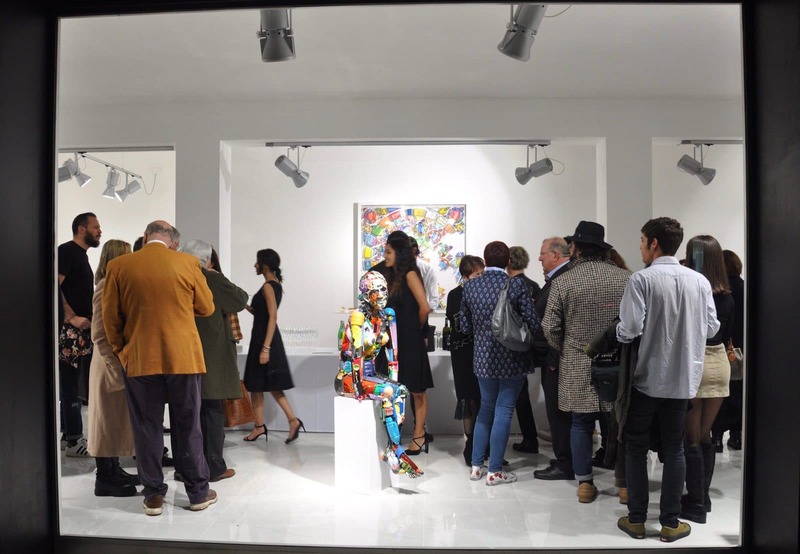 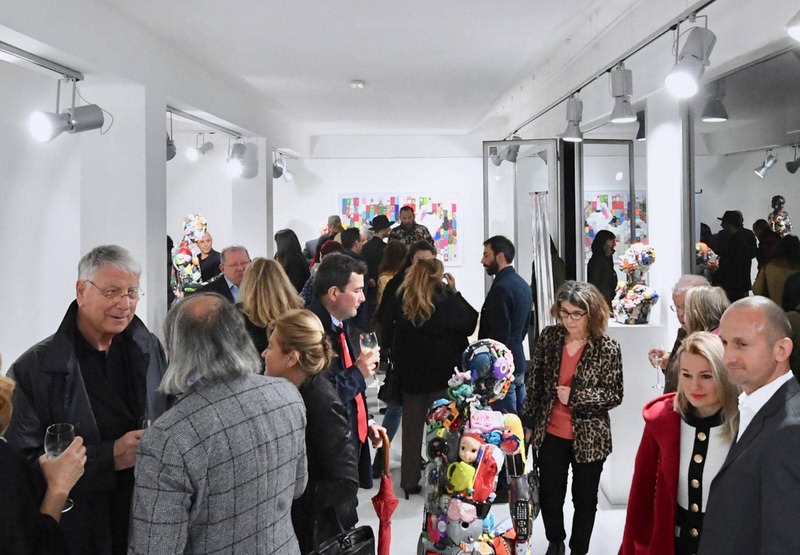 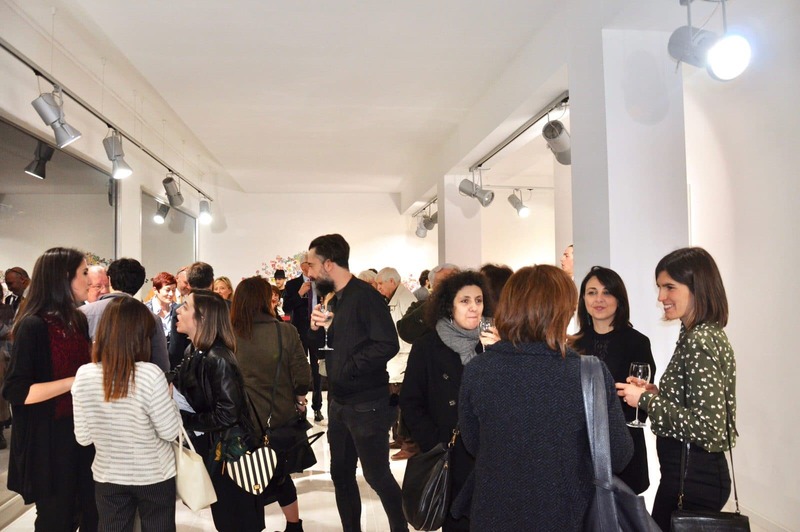 The Gallery, already located in Sardinia, in Porto Cervo and Poltu Quatu (Sardinia), lands in the historic city of Art, contributing to its dense cultural dialogue with new artistic proposals, indicative of a personal research that has its roots in the figurativism, exploring all its aesthetic and artistic variations. 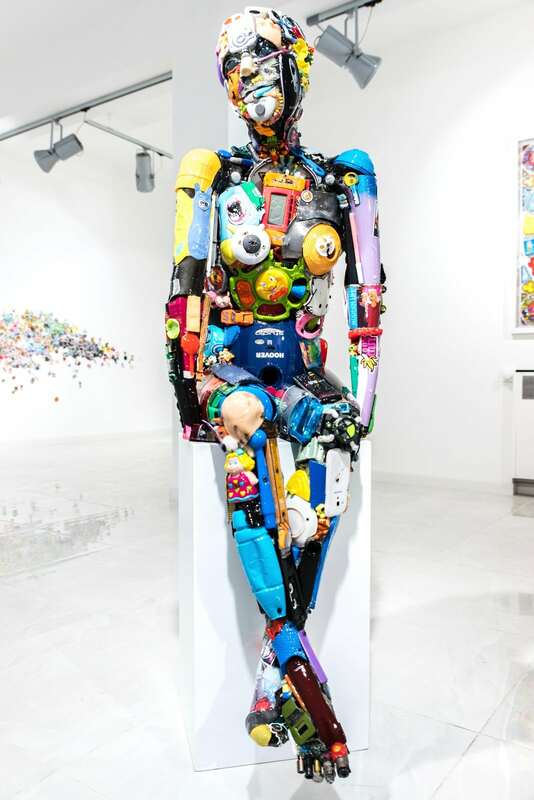 Simon Bart intends to present interesting and innovative writing techniques, capable of imploding traditional representation systems to convey images and messages of our contemporary society. 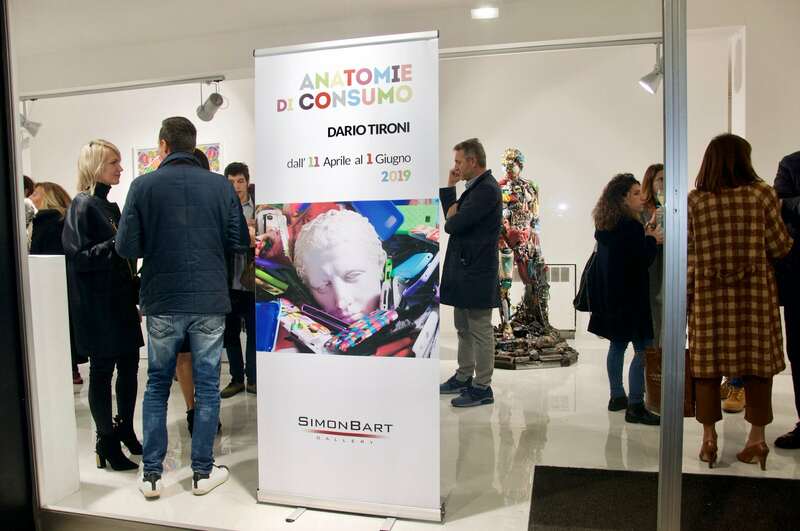 “Anatomie di Consumo” by Dario Tironi, is the exhibition that starts the new branch events programme. 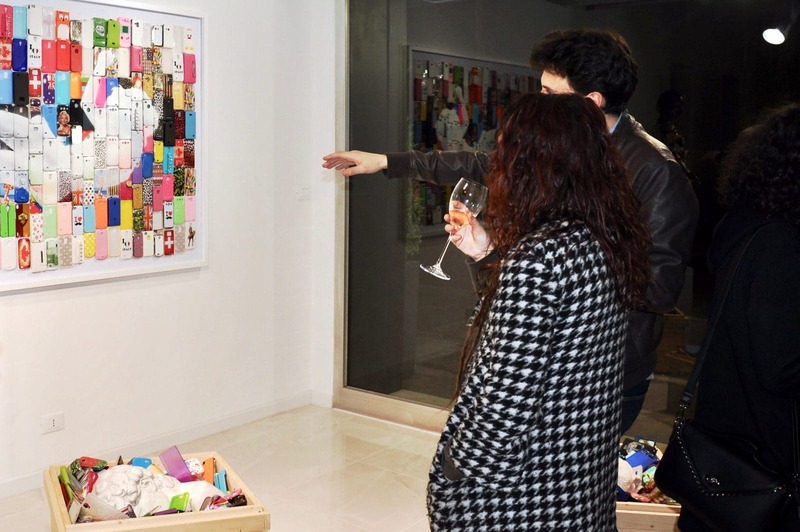 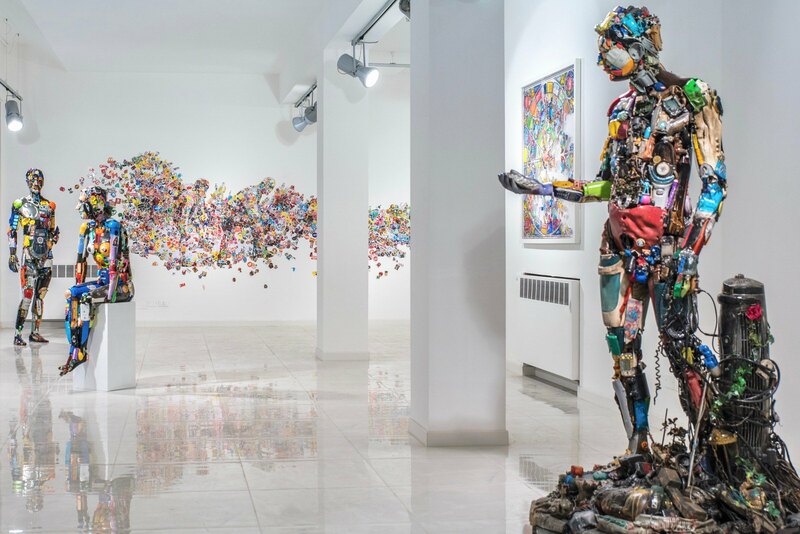 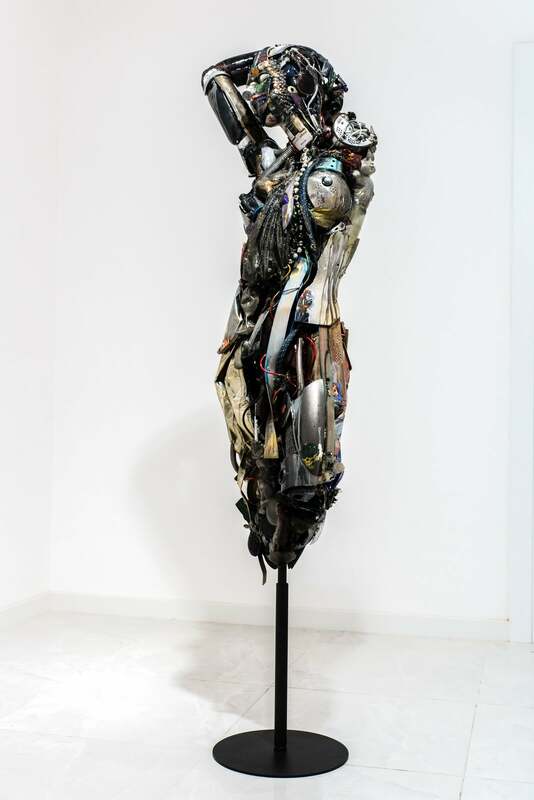 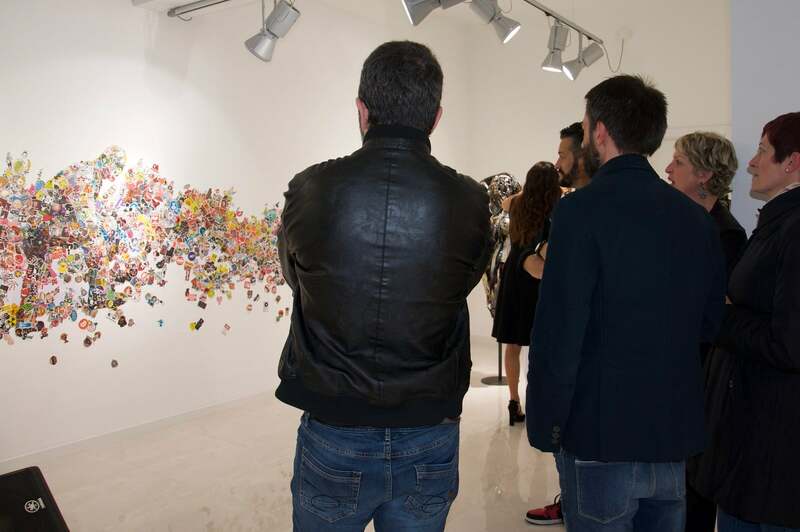 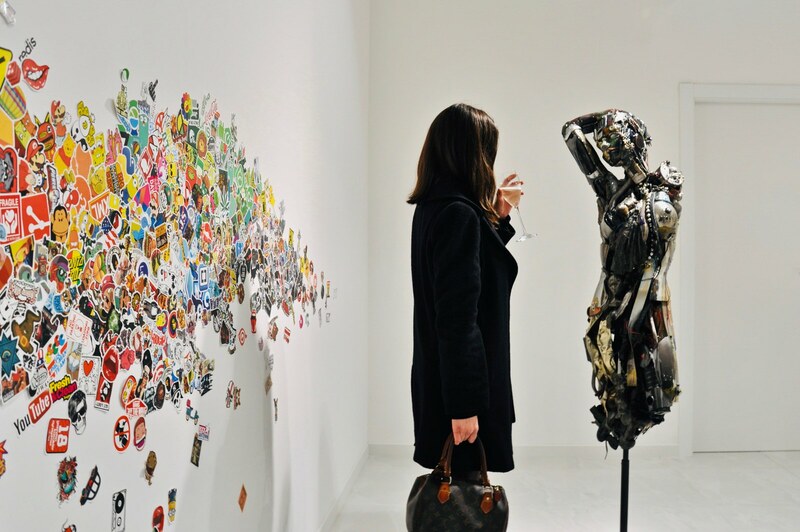 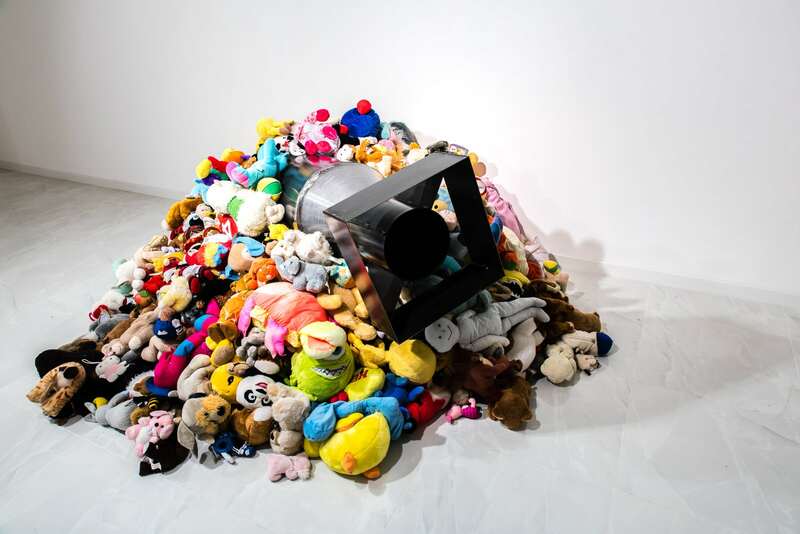 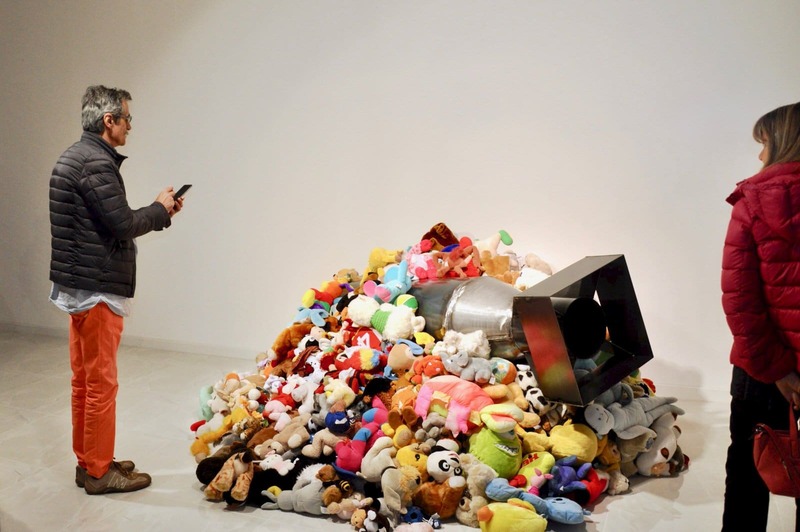 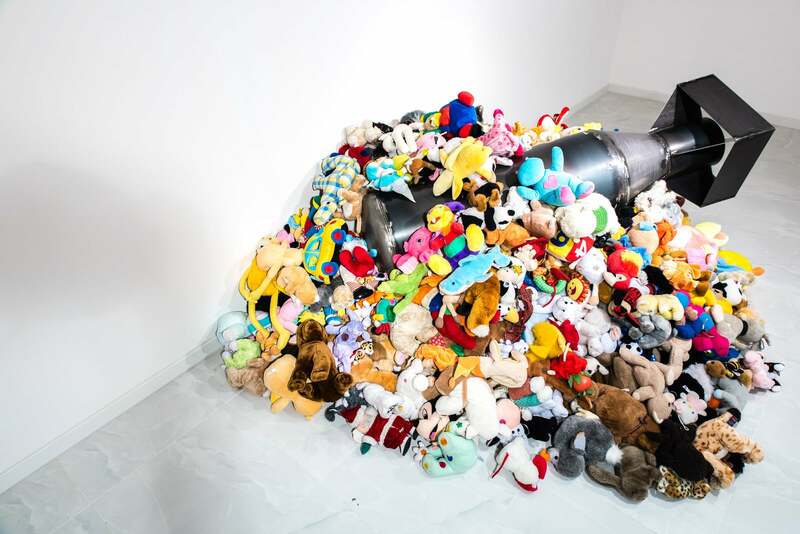 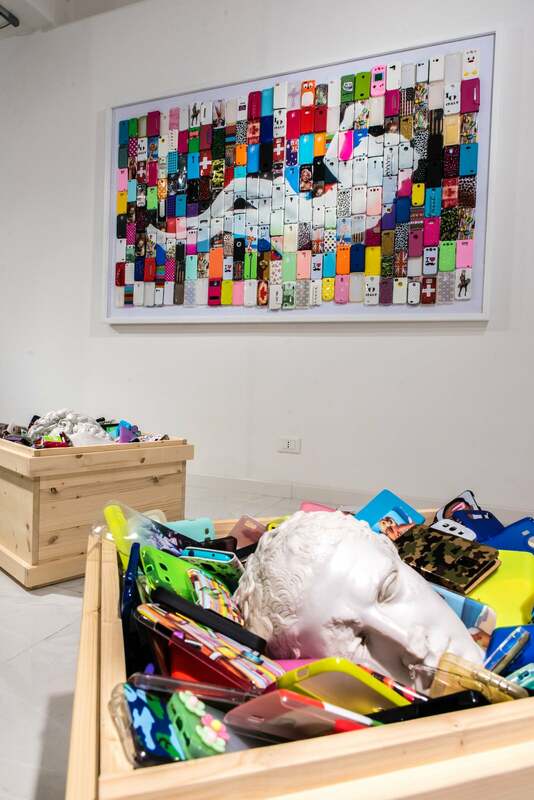 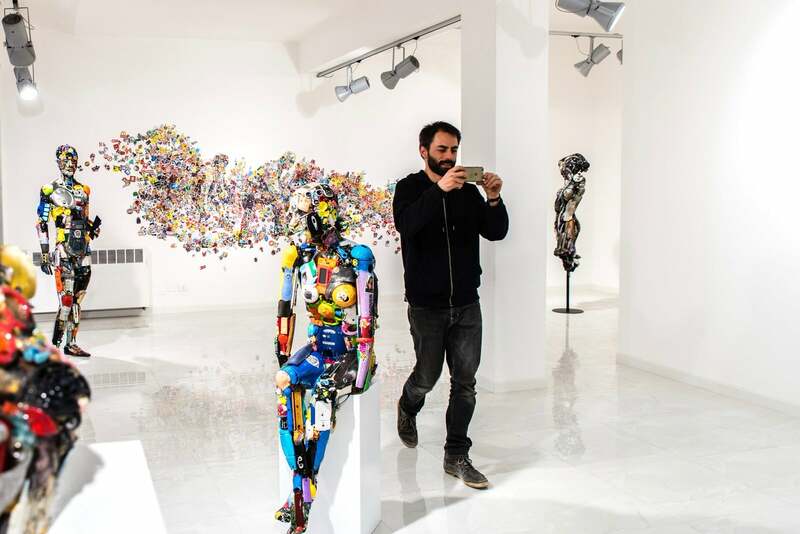 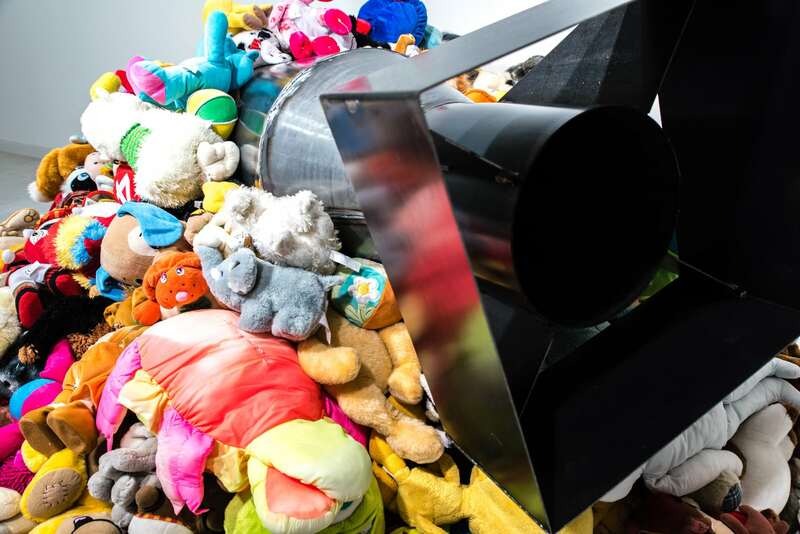 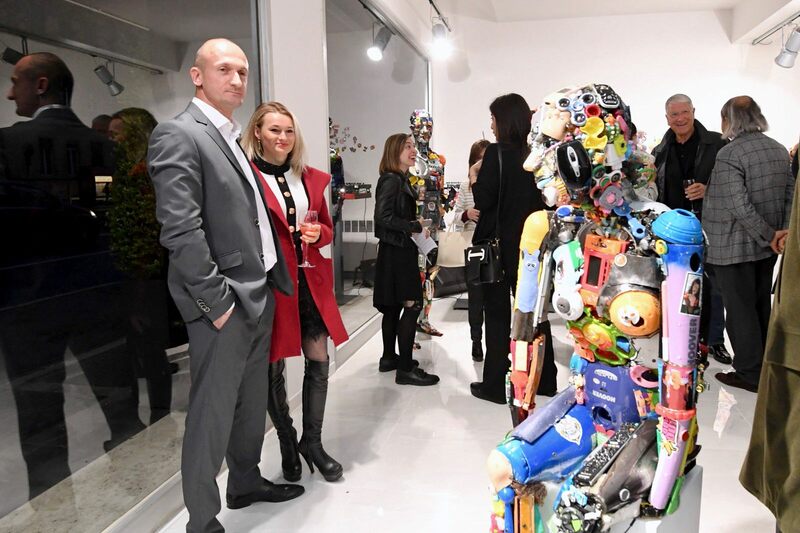 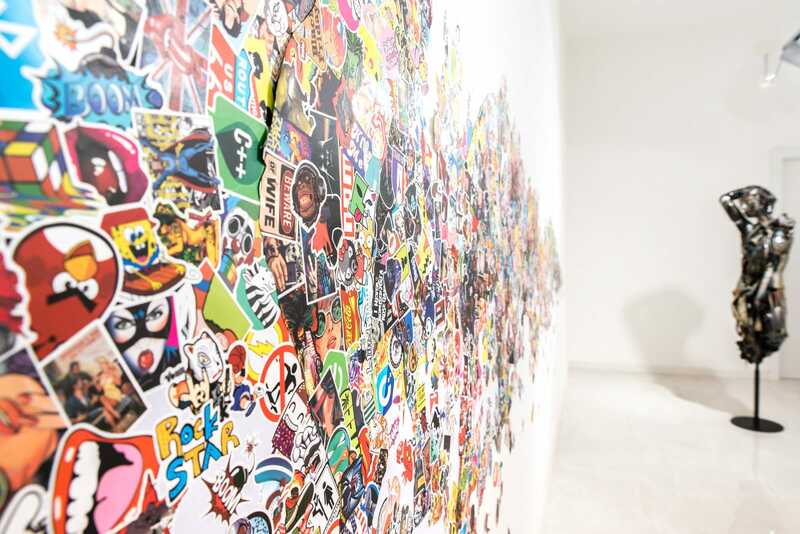 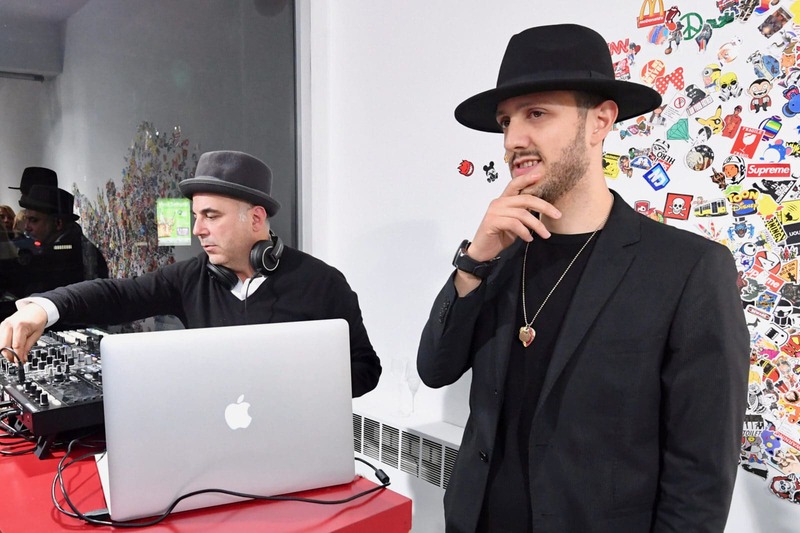 The artist, already presented in Bologna in May 2018 with Figure Futuribili Exhibition, at “Collezione delle Cere Anatomiche – Luigi Cattaneo”, returns to reflect, with sceptical and analytical irony, on both the consumer society and the cycle of production – accumulation – disposal of daily use objects that become linguistic systems in the artistic practice and bearers of new meanings. 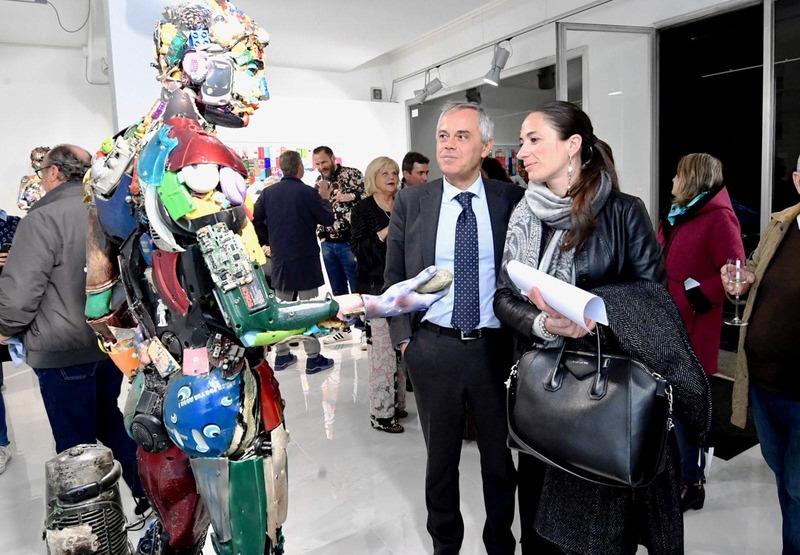 Figure Futuribili Exhibition at the Museo Cattaneo was the prologue of a complex argument on the identity that Mr Tironi tries to array in this new opportunity for dialogue. 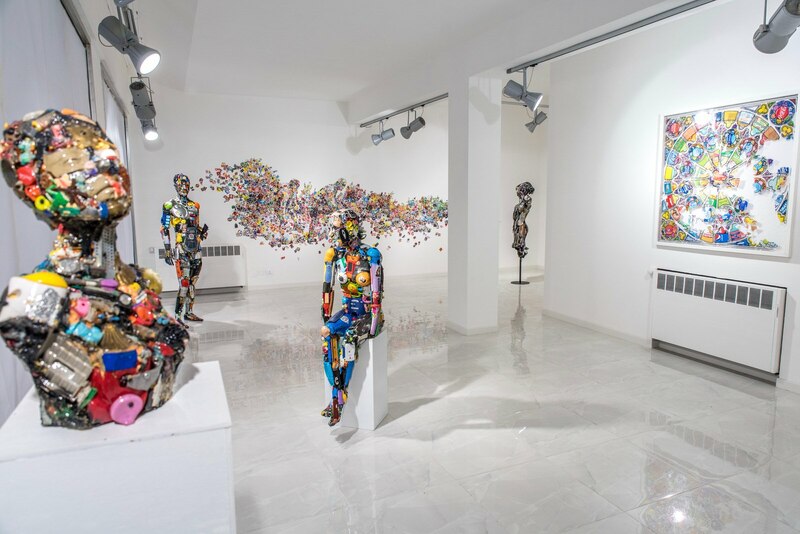 The exhibition project includes sculptures, installations and two-dimensional works often linked by the constant reference to the classical figurative tradition, underlining the roots of Western artistic production as well as the complete amnesia in relation to the ancient aesthetic and cultural values, which are typical of our era. 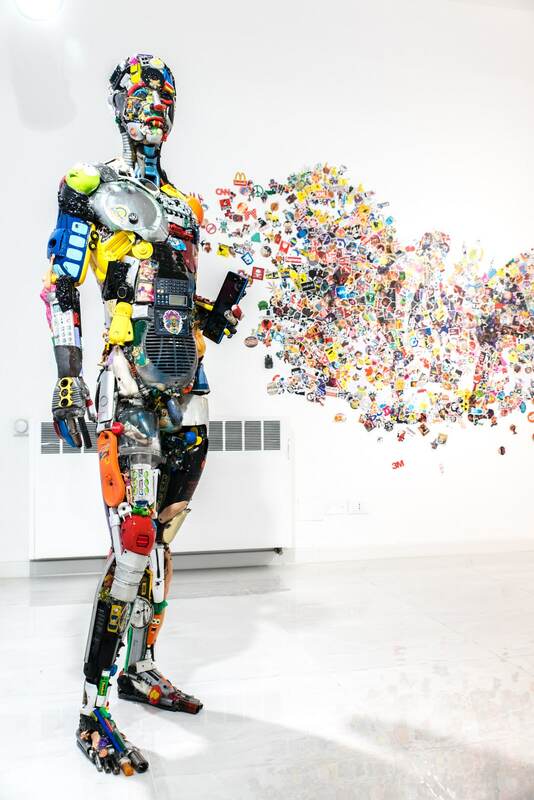 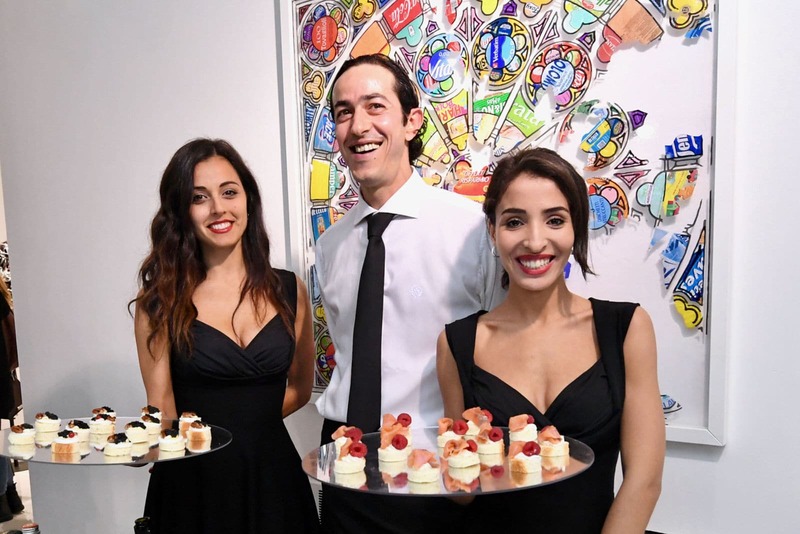 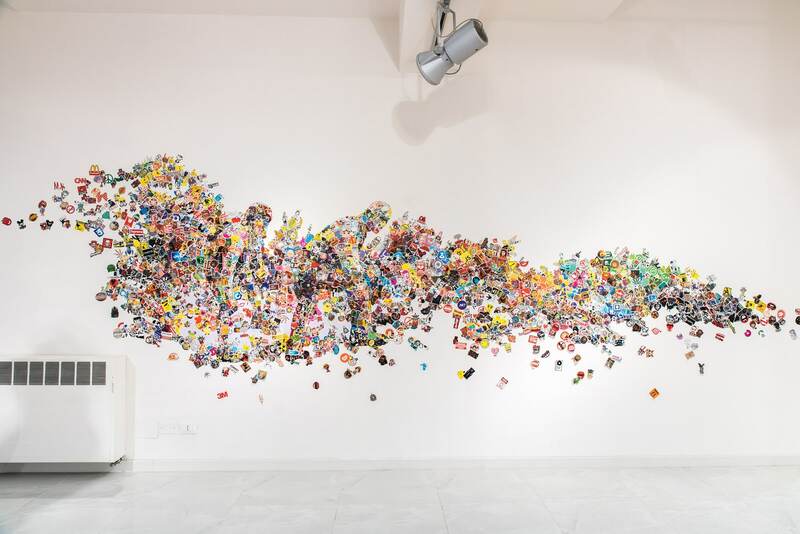 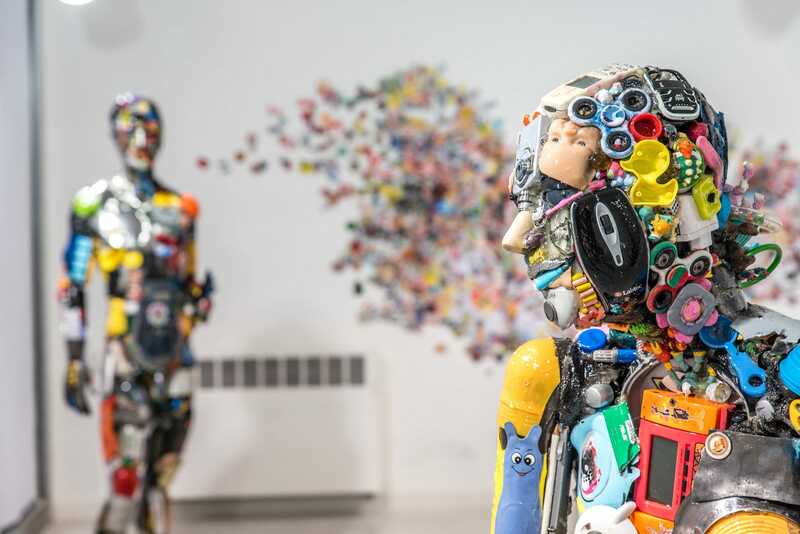 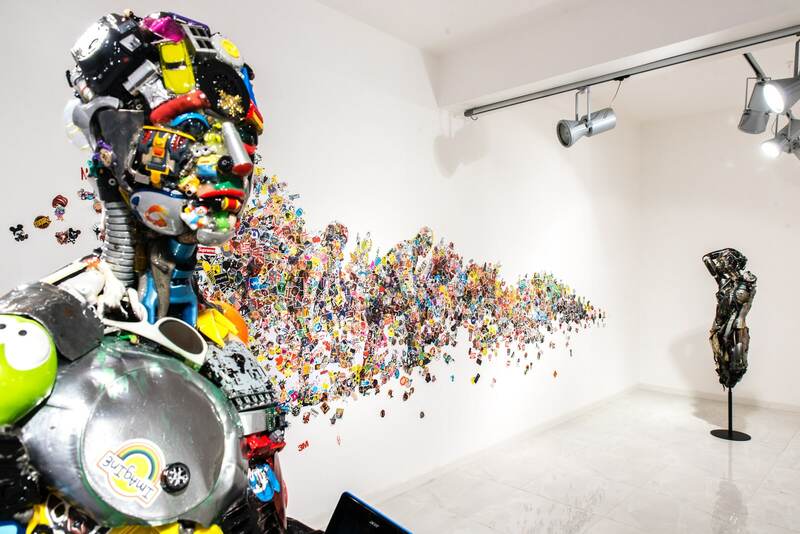 Mr Tironi’s recycled object sculptures fulfill the task of symbolising the fragmentation and, therefore the disappearance of a cultural identity that becomes global. 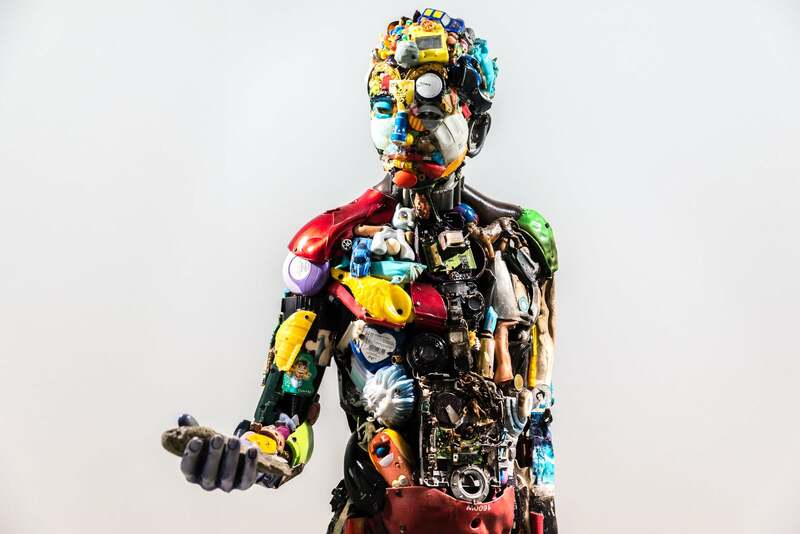 Thus, the anatomies are extraordinary encompassing works referring to both the collective body, now subjected to anxiety and bulimia of possession, and to those social expectations that materialise in the objects of daily use, frantically replaced by the the Market laws. 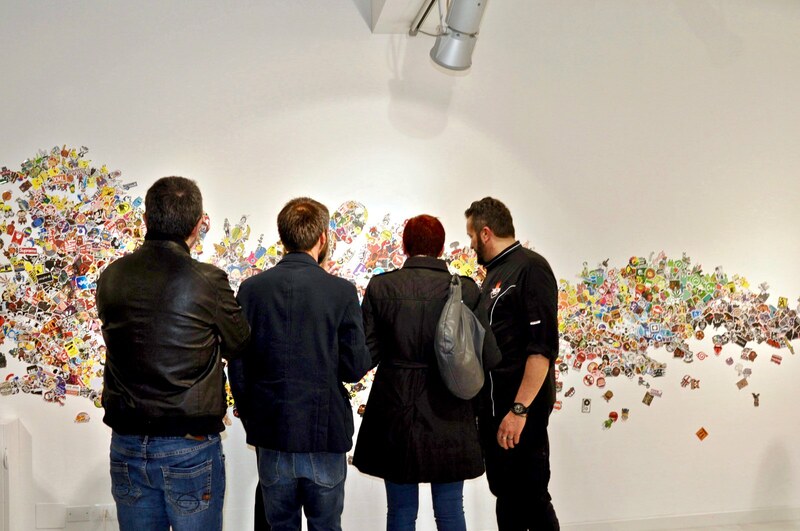 The exhibition in question is completed by some works on glass and Plexiglas such as a manga reinterpretation of the Last Judgment by Michelangelo, which depicts the excessive visual incitement to which we are daily exposed and through which we must extricate ourselves in order to reach the truth, a “Maya’s veil” made of advertising logos and evanescent images. 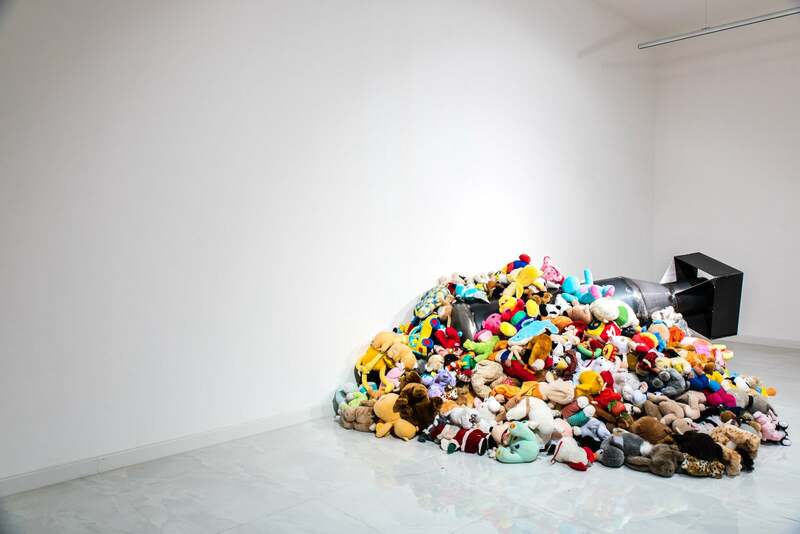 The exhibition ends with an installation that refers to the dual nature of human genius. 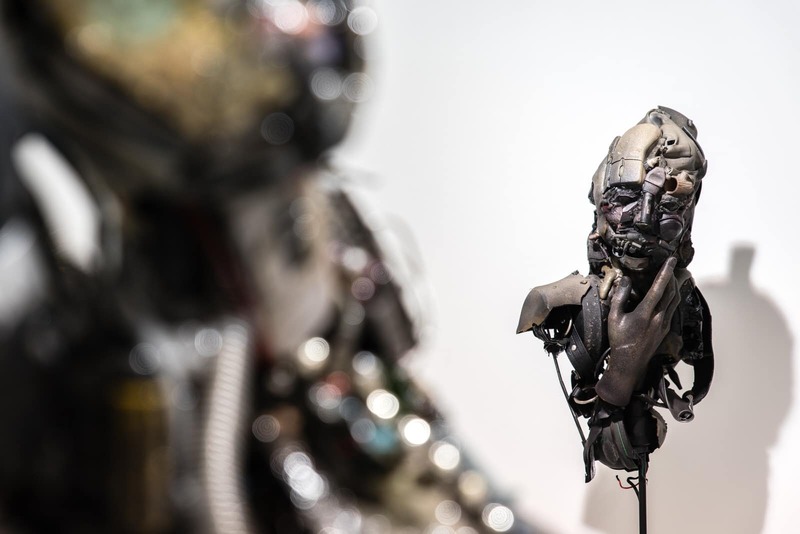 The first is capable of creating anatomies of eternal beauty while the second conceives anatomies of fatal objects such as the “Little Boy” nuclear bomb, used in World War II, and dropped on Hiroshima causing one of the most ferocious disasters in the human history.